I am Scott and I’m a Broker Associate with Big Block Realty. I have lived and worked in beautiful San Diego County and the Temecula Valley for over 20 years. I know the neighborhoods and surrounding areas. I can assist you with any real estate transaction within the Southern California area. 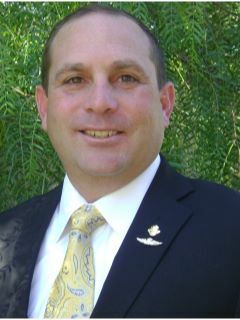 As a retired Marine, I bring to you an incomparable focus and drive to assist YOU in achieving your real estate needs. It is my Objective to bring you TOP DOLLAR for your home in the shortest amount of time. I have developed a TARGET MARKETING system that is very unique to identify potential buyers for your property. I consistently beat the average days on market in getting homes sold. In short, I will sell your home quickly and at a price that will make you happy. It is my Objective to make the process of buying a home as simple and stress free as possible. I will walk you through each and every step of the process. My team is standing ready to assist you in the purchasing process. As a retired Marine, I’ve been in your boots. As you know, we live and travel worldwide; teaming with the largest real estate company in the world, I can perform or assist in your international real estate transactions. Also, I am the ONLY RETIRED SERVICE MEMBER and Military Relocation Professional (MRP) in the Temecula Valley and North San Diego County. It would be my privilege to serve you. *For informational purposes only not intended for solicitation, not responsible for content accuracy of MLS or third party.